1/2" PVC Flexible U-Fitting with a Max Working Pressure of 50 | U.S. 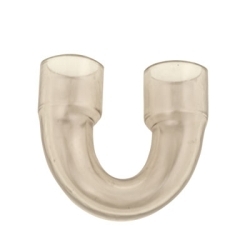 Plastic Corp.
Transparent flexible fittings an be used with rigid PVC, acrylic, butyrate, polycarbonate, or Tamco flexible vinyl tubing. 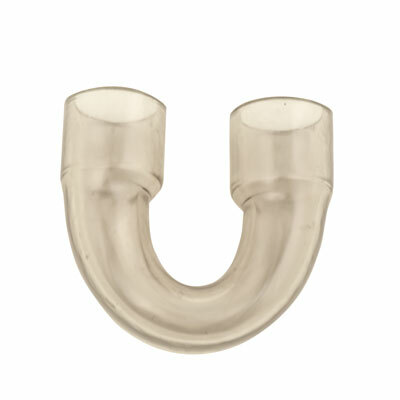 The outside diameter or the tubing fits inside diameter of collar on fittings. Clamp, if used, slips over collar.